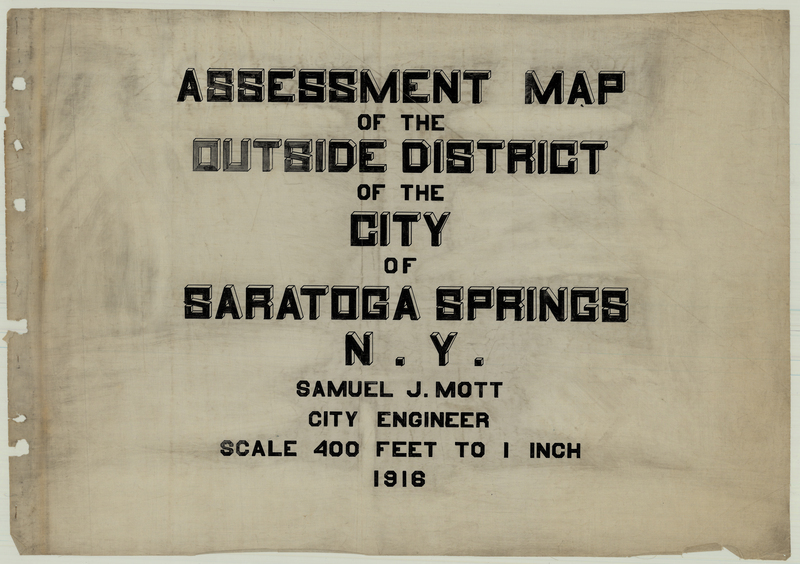 Assessment Map of the Outside District of the City of Saratoga Springs, N.Y.
Samuel J. Mott's map of the newly-promoted City of Saratoga Springs highlights the two principal tax assessment areas, the inside and outside districts. These districts echoe the dividing line between the village and town of Saratoga Springs, established in 1826. Mott, Samuel J., “Map Showing Sections of the Assessment Map of Outside District of the City of Saratoga Springs, N.Y.,” Skidmore Saratoga Memory Project, accessed April 24, 2019, http://ssmp.skidmore.edu/document/203. 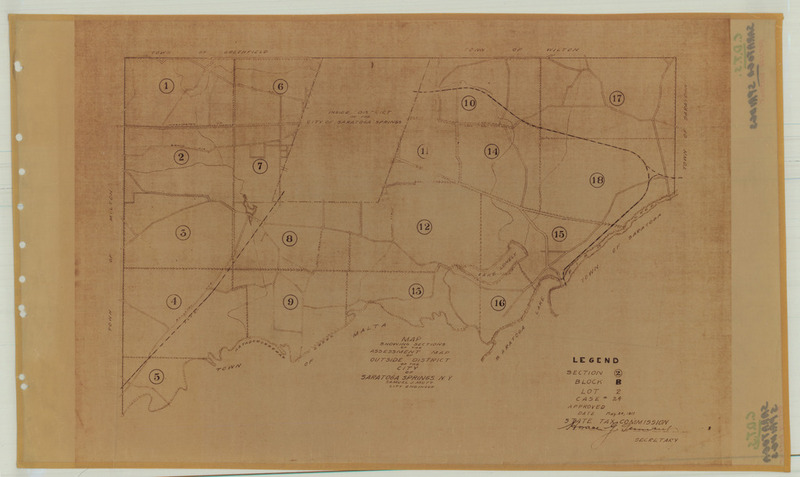 This Item dcterms:isVersionOf Item: Map Showing Sections of the Map of the Assessment Map of Outside District of the City of Saratoga Springs, N.Y.